Triprayar Sreerama Temple, located in Thrissur district, is one of the important temples dedicated to Lord Rama in Kerala. Lord Rama worshipped here is popularly known as Triprayarappan or Triprayar Thevar. The two main festivals celebrated here are the annual Pooram Purappadu & Uthram Vilakku and Vrischika Ekadasi (Triprayar Ekadasi). The annual festival celebrates on Pooram and Uthram asterisms in the Malayalam month of Meenam (March-April) is quite different from other temple festivals. 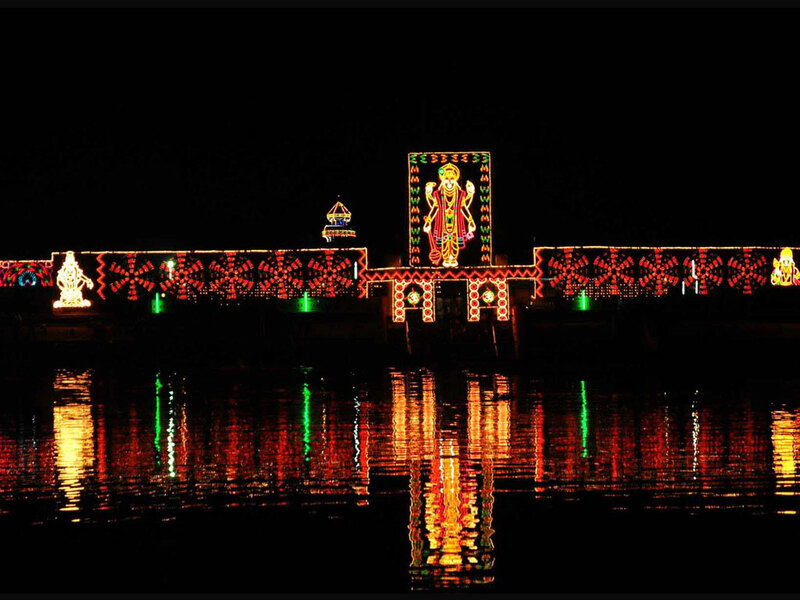 The festival here doesn’t have any Kodiyettam (ceremonial flag hoisting), instead, Kottippurappedal (Lord is taken out of the temple as a procession by beating of drums) marks the beginning of the festival. It is known as Pooram Purappadu. 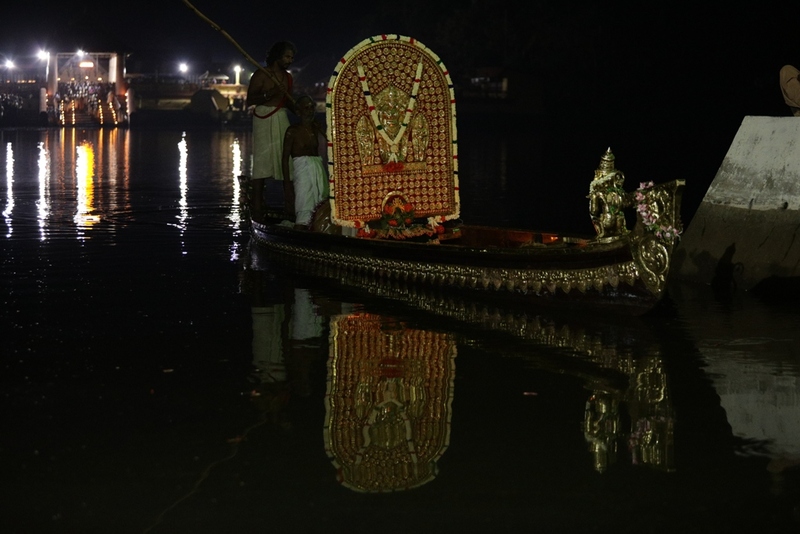 On the seven day the deity returns to the temple and will leave for the Arattupuzha Pooram. 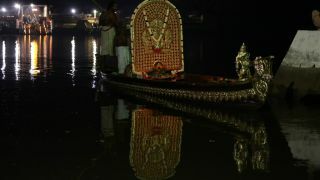 Triprayar Tevar is one of the participating deities of Arattupuzha Pooram. 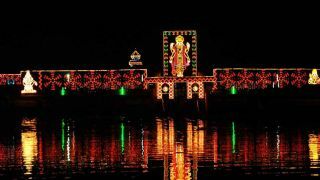 Uthram Vilakku will be celebrated on the next day of Pooram when Lord Rama returns to Triprayar. Krishnapaksha Ekadasi in the Malayalam month of Vrischikam (November-December) is celebrated as Triprayar Ekadasi. During Ekadasi festival, the day before Ekadasi the procession of Sastha, a sub-deity, comes out of the temple and is called Dasami Vela. This marks the beginning of Ekadasi festival. In 2018, the Ekadasi is on 3rd December. Nalambala Darshanam, the annual pilgrimage of visiting four temples of Sree Rama, Bharata, Lakshmana and Sathrughna as main deities in the Malayalam month of Karkidakam (Mid-June to Mid-July) is considered auspicious by the devotees. And Triprayar Sreerama Temple is one of the temples included in this. Other temples are the Koodalmanikyam temple, Lakshmana Temple at Moozhikkulam and Payammel Shathrugna Temple. Next year Nalambala Darshanam is from 17 July to 16 August 2018.